Running for office - Psycholinguistic Technologies, Inc. This and other uses of SentenceShaper were also described in “Restoring Lost Speech after a Stroke”, an article about the aphasia center that appeared in the Wall Street Journal (click here to view). 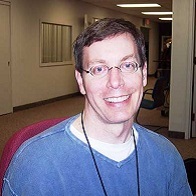 Ken used SentenceShaper before his November 2006 re-election campaign, and he created sound files to prepare to discuss the issues he knew voters would be interested in. He was re-elected, and mentioned in a Wall Street Journal article (November 28, 2006) about speech recovery after strokes. We were pleased that our SentenceShaper software was mentioned in the same article. Ken was also filmed by CBS News while he was practicing his oath for office using SentenceShaper. Click here to learn more about SentenceShaper at The Adler Aphasia Center.